Old habits die hard, and I want to write about an old habit that I wish would die. People keep referring to these ordinations of bishops as “consecrations.” Give me a moment, and I’ll say why I think that’s a problem. But before that, let’s talk about why we have this habit. In prayer books prior to our 1979 Book of Common Prayer, we did indeed consecrate bishops. And we ordered priests and made deacons. There was a clear hierarchy here, and there was a progression of orders. My understanding is that it was common for those to be ordered as priests to enter the service vested as deacons. The word “consecration” was reserved solely for bishops. The implication is that the ministry of priesthood is built upon the diaconate, and the ministry of the episcopate is built upon the priesthood. 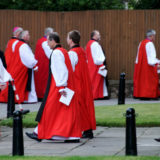 Bishops leaving the Holy Eucharist at the Lambeth Conference 2008. Photo by yours truly. But all that changed with the 1979 prayer book. As many have noted, the book attempts to share a baptismal ecclesiology. That is, the church itself and all ministry springs from the waters of the font. This theological view is found all over the book, but here we are looking at ordinations. Instead of having three different titles, the services of ordination are called, “Ordination of a Bishop,” “Ordination of a Priest,” and “Ordination of a Deacon.” In each of these services, the actual prayer that sets apart the person — that effects the sacrament of ordination — has a parallel title: “The Consecration of the Bishop,”, “The Consecration of the Priest,” or “The Consecration of the Deacon.” So the word “consecration” is used liberally for all three services, for all three orders. 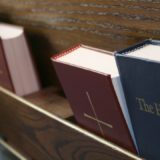 But that’s not the strongest place the 1979 book’s baptismal ecclesiology is manifest. The notes for each service indicate that the ordinand is to enter wearing a surplice (or rochet) or alb, without any marker of rank or office. So the ordinand enters in the garb of a baptized Christian. I could go on at some length about this, but the point is simple: our current practice is meant to suggest that ordained ministry — whether bishop, priest, or deacon — springs forth from baptism. All three services use parallel titles. 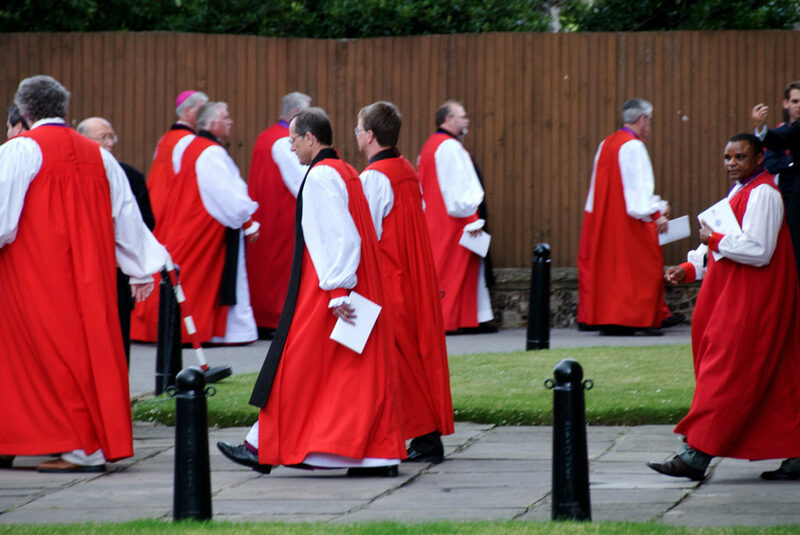 So one rightly refers to the ordination of deacons, priests, or bishops. Consecration is also used for the central act of the ordination of deacons, priests, and bishops. So if one were going to prefer the word consecration for some reason, it should be used for all three orders: deacon, priest, or bishop. It should not be surprising, given the woeful state of our canons, that they would be out of sync with the baptismal ecclesiology our church has been teaching for over 40 years. Our canons generally use the word “consecration” rather than “ordination” for bishops, and they only apply the word “consecration” to bishops. So we get the redundancy of “ordination and consecration” for bishops alone, though the actual ordination services, as set forth in our prayer book, of bishops, priests, and deacons all should benefit from these extra syllables based on the structure of the rite. Our canons simply use the term “ordination” for priests and deacons. If we were going to ensure that our canons aligned with the baptismal ecclesiology of our liturgical life, we should ensure that “ordination” is the title used consistently for bishops, priests, and deacons. But, alas, we have had other priorities in looking at our canons, neglecting the possibility of enacting a consistent vision of baptismal ecclesiology. There are two reasons why I think it’s important for us to stop talking about the “consecration of bishops” (unless we’re going suddenly to start yammering on about the “consecration of deacons” and the “consecration of priests,” which will never happen). One reason is cultural and the other is theological. First, it’s important, I think, to resist episcopal exceptionalism at every turn. Bishops surely have particular charisms and authority by virtue of their order and office. But priests and deacons and lectors and acolytes and altar guild members and every other kind of church ministry also have particular charisms and authority. 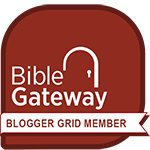 It is not helpful when any member of the body of Christ abrogates its authority, nor is it helpful when a member of the body of Christ claims authority to which it is not entitled. We need elbows to be elbows, noses to be noses, and eyes to be eyes. And we need bishops to be bishops, deacons to be deacons, lectors to be lectors, and so on. Baptismal ecclesiology insists this must be so. 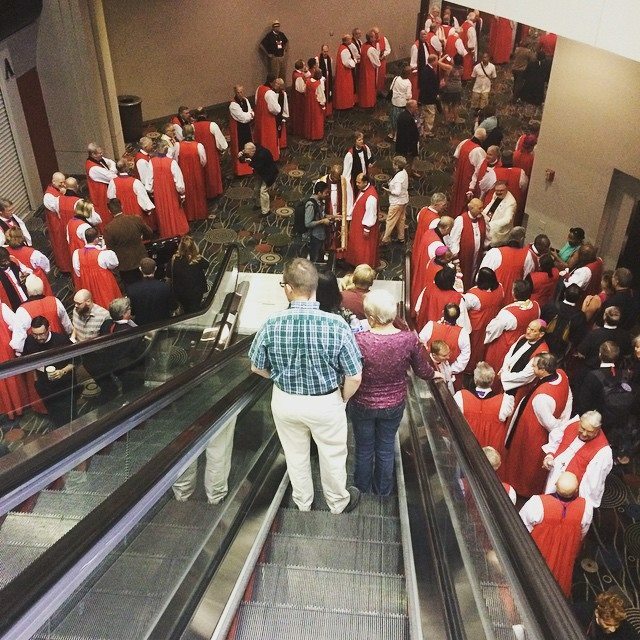 Bishops lining up for procession at General Convention 2015. Photo by yours truly. If our bishops behave as member of the nobility, then the body of Christ is distorted in its function. This is not to say that bishops are not entitled to distinctive vesture or titles. Indeed, the distinctives of each order of ministry help to reinforce its function and purpose. By insisting that bishops are ordained, just as deacons and priests are ordained, we remind ourselves that the threefold ministry is not a career ladder but rather an expression of the unique vocation of each Christian, some of whom are called to be deacons, priests, or bishops. When we talk about consecration of bishops alongside the ordination of priests and deacons, we are creating a division that runs counter to our supposed baptismal ecclesiology. This gets to the second reason I think we need to insist on speaking of the ordination of bishops. In the old model, the ministry of a bishop was built on the ministry of the priesthood, and the ministry of the priest was built on the diaconate. In the current model, as I’ve noted, the ministry of all three orders stems from the baptismal font. We should, therefore, avoid hierarchically referring to the making of deacons, the ordering of priests, and the consecrating of bishops. Deacons are ordained (and consecrated). Priests are ordained (and consecrated). Bishops are ordained (and consecrated). So however we talk about one order, we should talk about the other two. You might think I’m going on about not much, and you may be right. I think words matter, and our language helps to shape our reality. Our church is haltingly moving into our post-christendom world. As I’ve often said, we need our church to start thinking more like we’re in 250 than 1950 or 1050. We know that by the height of Christendom, bishops were literally lords and princes, living a noble life in palaces. Before Christendom, bishops were surely afforded special honor, as they should be today. But this must not have even the remotest trappings of empire and princely power. We can remind ourselves that bishops are set apart for a peculiar ministry, no more and no less. Bishops are not priests or deacons or lay people. But neither are they holier and loftier than priests or deacons or lay people. Those who serve in the ordained ministry live ordered lives — subject to vows of obedience and duty. A lay person gives up freedom to take on holy orders; ordination is not really a promotion. This is all doubly true for bishops. While in the hierarchical structure of our church, it is certainly right and true that bishops hold authority over priests and deacons, they exercise this authority because of their unique role in the body of Christ, not because they are inherently better than others. To use the body analogy, the leg might point the foot in the right direction, but the leg is not superior to the foot. Both are needed for their own mutual flourishing. I look forward to talking about this blog post the next time I attend the ordination of a bishop. The ordination of a bishop. See how easy that was to read and to say? Thank you, Scott! The Diocese of San Diego is getting a new bishop soon and when I read that her “ordination” was to be on such-and-such a day, I muttered to myself “consecration!”. But then I’m–I won’t say old, I’ll just say that I was confirmed by The Rt. Rev. James A. Pike, of whom you may have heard. So thank you for clarifying why the language has changed to go along with a change in perspective. I will see you at the big event as your wonderful new bishop is ordained. Thank you! 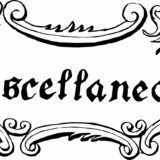 As a laywoman who has been working in some form or fashion in the Episcopal church since 1984, I might be overly sensitive to clericalism. I am grateful to you for even raising the issue. I’m just nerdy enough to get excited about the idea of bringing our canons in line with our baptismal ecclesiology and, alas, probably not nerdy enough to contribute something meaningful. I will suggest, however, that using the language of ordination rather than consecration also suggests a certain understanding of Eucharistic theology that does not require one to be ontologically changed in order to preside at the table. And I’ll go even further to say that an overly lofty Eucharistic theology also elevates orders of ministry in a way that potentially contradicts our baptismal ecclesiology. Whether we use the word “ordained” or “consecrated” I actually do think a difference is effected in the sacrament of holy orders. 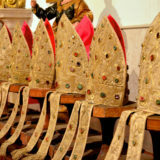 And I think the reason for continuing the ancient custom of having bishops and presbyters preside at Eucharistic celebrations is partly for reasons of church order, partly for theological reasons, and partly because this liturgical role is part of the charism of those who are set apart in holy orders for this task. So I think all the baptized have ministry, and some (or most?) of the baptized have a ministry of some kind inside as well as outside the church. The ministry of a presbyter includes celebrating the eucharist, and not everyone has that ministry. Similarly, not everyone has the ministry of teaching or pastoral care or public reading of scripture, setting up the materials for eucharistic celebrations, and so on. But I think, fundamentally, all those ministries are vital and the ministers themselves are equal (though unique, of course). One thing I’d like to see us get rid of are the ridiculous “holy huddles” that now happen. It really only needs to be the Presiding Bishop and two other bishops doing the actual laying on of hands. If your objection to other bishops taking part is theological, I can’t help. I’d have to ponder a bit, but I think I’m OK with how it happens now. But if your concern is practical, our prayer book is one step ahead of us. The rubric says, “The other bishops stand to the right and left of the Presiding Bishop.” So, if we followed this rubric, I think the congregation would not be prevented from seeing the actual ordination/consecration taking place. Similar direction is given in the rubrics for the ordination/consecration of presbyters. No, not theological. The huddles look disorderly/chaotic, and as you correctly point out, the intent of the rubrics is clearly that the People have a clear view of the ordination or consecration. And most of the time (or some of the time, depending on your experience) the Church is disorderly/chaotic. I must admit that in the ordination of priests, when the other priests present gather around to lay hands on the ordinand’s head, I see it as a welcome to the new member of the family. I think in some ways that’s exactly what is happening. Seems like a lovely custom, though not all will agree. I am looking forward to the day when we attend the ordination of a lay person as bishop, which I think is canonically possible. I can think of several who would be eminently qualified. Our canons currently require people to have been ordained as deacon and priest prior to ordination as bishop. See, for example, Canon III.11.3(a). But I don’t doubt that there are lay people who would otherwise be qualified to serve as bishops. Back in the old days, people were sometimes ordained deacon, priest, and bishop all in the same day! Thanks for the correction! I need to study those canons, obviously. It would be an interesting way to rethink the orders of ministry and the implied hierarchy, though. Can you imagine the uproar? A worthwhile post, for sure, and it might be good to clarify if you are interested in resisting the appearance or expression of episcopal exceptionalism at every turn – or the substance of it? 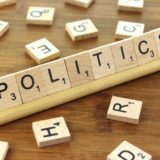 This post has to do with resisting the appearance or expression of episcopal exceptionalism – which is worth doing. If it’s substance, I’d probably start with the Church Pension Fund and assure that all clergy are treated in exactly the same way. The dramatic differences between Bishops and everyone else (mostly not known) are a matter of resisting the substance of episcopal exceptionalism. I’m guessing someone would make an argument that Bishops work substantially harder than all other clergy, but that is not my experience. Bishops typically work in an environment that has at least a little more or at least marginally adequate resource for doing the job. Other clergy, frequently not. Also, as regards substance, I’d love to see a ban on Episcopal travel, including the flocking of bishops to Episcopal ordinations in attractive locations. Most Episcopal travel, especially in the age of Zoom video conferencing, adds nothing at all to the effectiveness of the Church. For instance: If the dollars spent on Episcopal travel to Paris for the recent ordination there were aggregated (maybe someone should do that and report it widely? ), could you draw a direct line from that expense to strengthening the life and witness of St. Peter’s Church in Santa Maria, California (struggling downtown urban church in northern Santa Barbara County, largest city in Santa Barbara County, at the far end away from the “see city” of Los Angeles)? You can come up with many more, often similarly subterranean, examples of substantive Episcopal exceptionalism. Some are hidden in plain sight, of course. But, more positively, if bishops were to stay in their dioceses focusing on the obvious and real problems of being the church in the wider community in the 21st century, they could implement and support the Title III: Ministry Canons – especially Canons 1 through 3 that had potential to save the church when they became part of the document (MANY years ago) (thank you +John Croneberger) – but roundly ignored ever since. Why were they ignored? Because they have to do with laity and service and not the wielding of power. So part of Episcopal exceptionalism is having the luxury to ignore work that is painfully hard to do in the actual ministry context (a whole diocese, not just the see city as one example) while flying around to meet on esoteric committees and commissions and to parade in liturgies that have little or no impact on the strength of actual faith communities that are doing ministry in the real world (in the best cases). And, btw, I’m not a sour curmudgeon, I love working as a priest in a parish that is a community center for an interesting, wide-ranging (wider) community…. It’s just that Episcopal exceptionalism (the substantive version) has less than no value at all where I am…. Of course the real cure for (substantive) Episcopal exceptionalism (and you will likely be a bishop by this time) is the collapse of the whole institution. Because Episcopal exceptionalism is the name of the game, and, at the end of the day (coming sooner than most acknowledge) there will be no support, financial or otherwise, for it – because it contributes nothing. 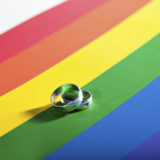 All this being said, thank you for being a fresh voice and for the work you are doing…. It’s apparent you care deeply, are super-smart and hard-working. I do think we need to look at clergy compensation — not just of bishops, but of priests as well — to address issues of justice. Not sure I agree with all your other points, but I am grateful you stopped by to comment. And though I travel regularly in my work, I do agree that we would do well to take a hard look at travel, for lots of reasons. In some ways, it seems to me that we need to gather more rather than less, but perhaps not for some of the reasons we as a church have meetings now. But I’m still mulling and pondering. Anyway, thanks for your comment. It strikes me that gatherings, whether of varying levels of clergy or of various kinds of lay folk, whether for religious purposes or lay, are about more than just the “meetings”, the practical business of the gathering. Such gatherings are also about being together, having a chance to get to know each other a bit, especially during breaks, meals, and in the case of religious gatherings, worship. Zoom, Facetime, Skype, etc. are excellent for short, practical meetings, but it’s hard to break bread together at individual desks separated by miles. Interesting! My view is more egalitarian, if you wish, since I always viewed bishops as priests set apart for a ministry with more responsibilities than the “other” priests (who are not allowed to confirm by canon law… though they actually CAN (as in the Eastern Orthodoxy and Roman Catholicism) except that the then (1979) bishops of ECUSA did keep confirmation out of the hands of the priests. Previous story Ashes: Should They Stay or Should They Go?